There are a few countries in Africa that make it into the world news headlines, once every blue moon. And when they do, it is not usually a happy story, and Mauritania is one of those countries. While hope may be high of a new Mauritania in the horizon, the pain and suffering of the many are all too obvious and need to change fast, if the country is to avoid serious social upheaval. 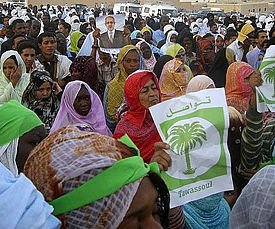 Mauritania has been in the news lately over the hot-button issue of slavery. Last year the American satellite news channel CNN broadcast a documentary titled Mauritania, Slavery’s Last Stronghold, a searing indictment of the country’s weak efforts to end modern forms of slavery such as forced labour, child labour and human trafficking. Also last year, the Global Slavery Index, an organization that tracks the phenomenon, named Mauritania as having proportionally the highest prevalence of slaves in the world. With up to 140,000 persons said to be enslaved in the country, the UN Security Council established a tribunal last February to prosecute those responsible for the practice. Alongside slavery have been stories of political instability—six coups since independence in 1960. 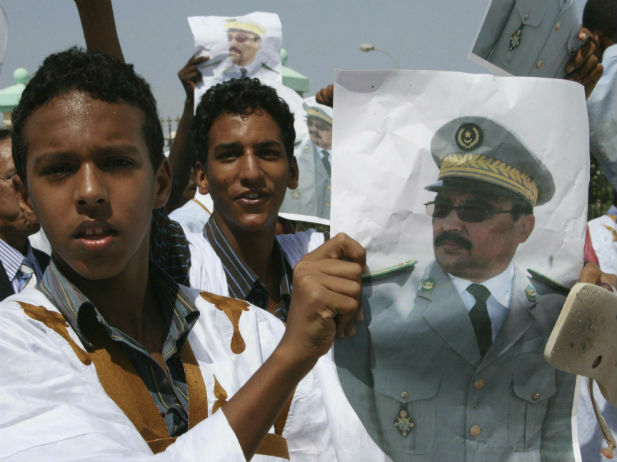 Gen. Mohamed Ould Abdel Aziz staged the latest coup in 2008. In 2009 he handed power over to himself after claiming victory in a controversial election. But along with the continuing problem of slavery, a subdued economy and past political upheavals, Mauritania has another side that has been under the radar since 2009, when President Abdel Aziz became a civilian leader. It is the country’s growing democracy and, by extension, its improvement in freedom, human rights and accountability. “We no longer need to go to Paris to express openly our concerns,” said Abdellahi Ould Hourmatallah, director of Mauritania’s Ministry of Communications, in an interview with Africa Renewal. He’s right, because just last year about 10 prominent members of the African Liberation Forces of Mauritania (ALFM), who had been in exile since the group was outlawed in 1986 for planning to overthrow the government, returned home. They have been going about their business without arrest. The return of these exiles coincided with the government’s establishing the Forum for the Preservation of Democratic Process (MFPDP), a group comprising key members of civil society groups. The MFPDP will assist the government in promoting social harmony, encouraging women’s participation in democracy and promoting media freedom, among other endeavours. Mohamed Lemjad Salem, head of the MFPDP, told Africa Renewal that by educating the population about democratic values, the group would create an atmosphere in which the government and the opposition could play their traditional democratic roles. “We want to strive to consolidate democratic values…to achieve the democracy we aspire to.” At the moment there is a growing recognition among Mauritanians that civil society “can play a primary role in shaping public opinion and help to consolidate democracy,” says Mr. Allah. 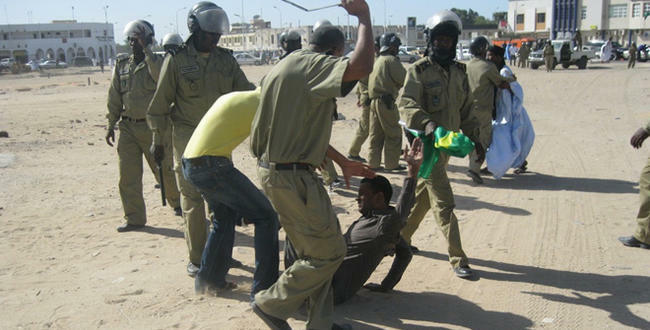 Improvements in Mauritania’s human rights situation correspond to increasing press freedom. It was not this way a few years ago, when editors were obliged to obtain government approval before publishing stories. Then, unlike now, they were expected to reveal their sources – including confidential ones – if asked to do so by the government. The government owned the media houses, and it created a board, without any media representation, that nominated heads of media institutions and regulated journalistic practices. But those days are gone – perhaps for good. Amendments to media laws, though coming slowly, have been decisive. In 2010 the government opened up the broadcast media to private-sector ownership, and the following year it amended parts of the law under which journalists could be jailed for slandering the head of state. There has been a dramatic response to the changes in the media laws. Mauritania currently has two independent television stations and several independent radio stations, finally ending government’s monopoly of the broadcast media. Although the government still controls two newspapers, 28 others are privately owned. Two Internet-television stations, Shinquiti and Murabitun, are also privately owned. As with the media, a positive change is happening in women’s participation in governance. The country is one of only 34 with a quota system that ensures participation for women in government. Mauritania may be making progress on many fronts, but there are also real concerns about democracy dividends on the economic front. Knowing the connection between citizens’ well-being and their political participation, President Abdel Aziz is confronting poverty. Although the country ran a 32% budget deficit in 2013, the International Monetary Fund (IMF) appears to be satisfied with its 6.4% economic growth rate. These achievements are “not reflected in the social situation, still characterized by high poverty and high unemployment,” notes a 2013 report, African Economic Outlook (AEO), jointly published by the African Development Bank, the Organisation for Economic Co-operation and Development, the UN Economic Commission for Africa and the UN Development Programme. The report says that up to 21% of the population lives in absolute poverty, and while overall unemployment is at 30%, that number rises to 60% in the rural areas. “Mauritanian women suffer discrimination in access to employment and land resulting in low levels of economic participation,” adds the AEO report. Some male politicians make matters worse for women. Aslamo Ould Sidi al-Mustafa, a presidential advisor, controversially issued a fatwa (an Islamic decree) in 2012 banning women from contesting presidential elections. They may enter the race, Mr. al-Mustafa said, but it must be “just for fun.” This effectively means that no woman can be president of Mauritania. Women’s advocacy groups are fighting back and are unsettled by President Abdel Aziz’s silence on the matter. Although the media enjoy relative freedom, they are not stable enough financially to play their watchdog role effectively. The privately owned television stations broadcast only via the Internet. With Internet penetration of just 4.5% in the country, these stations have limited reach. The newspapers don’t fare any better, due to insufficient advertising and poor distribution systems, notes the BBC. And without a freedom of information law, journalists often hit a brick wall when requesting information that the government considers embarrassing. Plaudits for Mauritania’s democracy are justified only when the present circumstance is compared to previous situations, many believe—particularly periods of military rule. The government remains sensitive to harsh media reports. 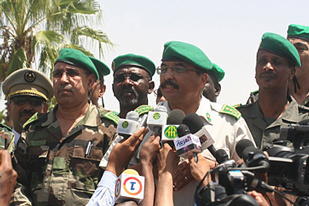 In August 2011, for example, security operatives detained a Senegalese media crew that was in Mauritania to interview opposition leaders and antislavery activists. That same year Abdelhafiz al-Baqali, a Moroccan journalist, was deported for no official reason. And there are allegations of discrimination against blacks, torture as a tactic in detention and a judicial system that is not fully independent of the executive branch. Without any explanation, President Abdel Aziz appointed three different Supreme Court chief justices between 2007 and 2010, although each chief justice is supposed to serve for at least five years. To be fair, the government is facing a lot of challenges. Mauritania is a multiracial society sandwiched between countries with which it has strained relationships. It is still squabbling at one end with Morocco and Algeria over Western Sahara, and at the other with Senegal over the use of the Senegal River, which divides the two countries. In addition, thousands of Malian refugees are moving to Mauritania, putting a strain on limited social infrastructure such as water and energy. Security is also a major concern as the government constantly tries to suppress any lurking terrorist networks. 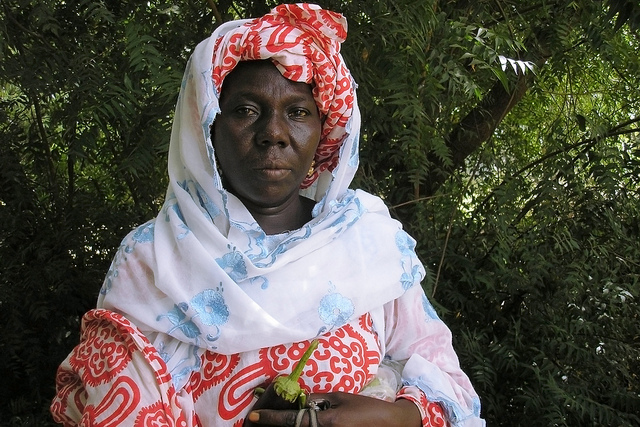 Mauritania has been making efforts to stamp out slavery. It passed an anti-slavery law in 2007, making it a crime punishable by up to 10 years in prison. A judicial committee headed by President Abdel Aziz announced a decision to create a special tribunal to prosecute those responsible for the practice last December. Gulnara Shahinian, the UN’s special rapporteur on contemporary slavery, has praised “the political will displayed by the [Mauritanian] authorities” In fighting slavery. With so much on President Abdel Aziz’s plate, analysts believe that recent steps toward deepening democracy are significant. 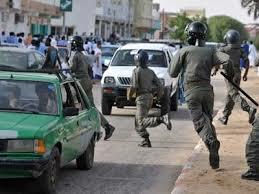 The perception of Mauritania as a place only of political instability and slavery could soon begin to change. Many now expect that this country of 3.6 million people, located in the Sahara desert, may soon emerge as an oasis of democracy.